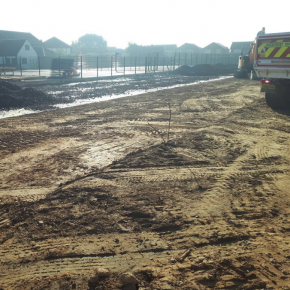 Aggregate Industries has supplied 10,000 tonnes of sub-base aggregates and SuperFlow range of sustainable drainage system (SuDS) materials for the construction of a new state-of-the-art campus for Lexden Springs School in Essex. As a vital learning institution at the heart of the community, Lexden Springs caters for pupils aged 3 – 19, who have complex learning difficulties or are on the Autistic spectrum. With a number of new housing developments currently under construction across North East Essex, the school is being expanded to accommodate an increasing number of children and young people expected to settle in the area over the coming years. 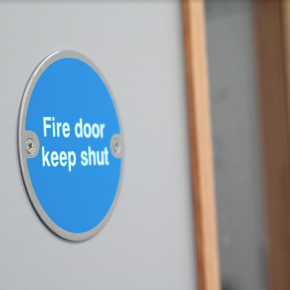 The expansion, which will add 50 new school places by September this year, will see Lexden Springs completely rebuilt at a new location, a mile away from the existing premises. With site clearance initiated in February last year, contractors Morgan Sindall and LPL Construction Services appointed Aggregate, as it is a business renown for its track record in providing reliable, on-demand supply of aggregate materials, to help create a sound foundation for the new school. After receiving the go-ahead in June 2018, Aggregate’s London team devised a special train delivery schedule to supply the large quantities of SuperFlow 63 (63/10mm aggregates), which had to be manufactured to order. Having a designated rail service ensured the materials arrived to site within the allotted time window. Overall, orders of 4,200 tonnes of Type 1 sub-base, 5,000 tonnes of SuperFlow 63 (63/10) and 800 tonnes SuperFlow SuDSAgg (Type 3 sub-base) were fulfilled to schedule. 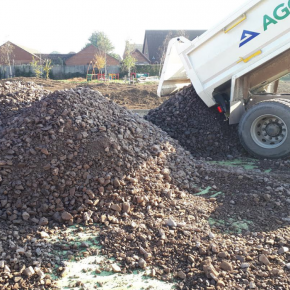 These high performance, hard stone aggregates will provide a solid foundation for the new school, as well as controlled water management within the project’s SuDS. Jake Chapman, Quantity Surveyor & Estimator at LPL Construction Services, commented: “We are currently at an exciting milestone for the project, with the topping out ceremony having been celebrated this month. 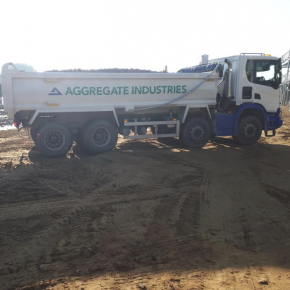 Luke Thurston, Commercial Manager at Aggregate Industries, commented: “Knowing that Lexden Springs is a much-loved school within the Colchester area, we were very pleased to play a part in its exciting relocation. 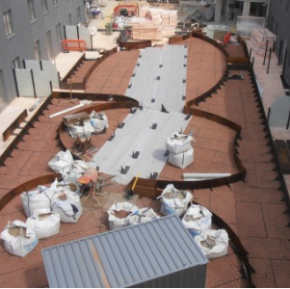 As a leading player in the construction and infrastructure industries, Aggregate has created and developed a number of SuDS solutions to mitigate many of the adverse impacts of stormwater run-off in terms of both volume and pollutants. 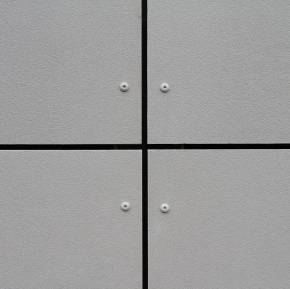 Its innovative solutions include SuperFlow Aggregates, SuperDrainasphalt, Hydromedia® ready-mixed concrete, Lytag and Charcon Infilta permeable block paving.